Oh very nice indeed. We have grat potential in the tuorism. Albania is a country of natural beauty which includes sandy white Mediterranean beaches, rocky mountains, fertile plains, lakes, natural monuments, and remote areas. According to the Minister of Tourism, Cultural Affairs and Youth , the country receives approximately 1.098.765 foreign visitors per year and it is growing by 19% every year. 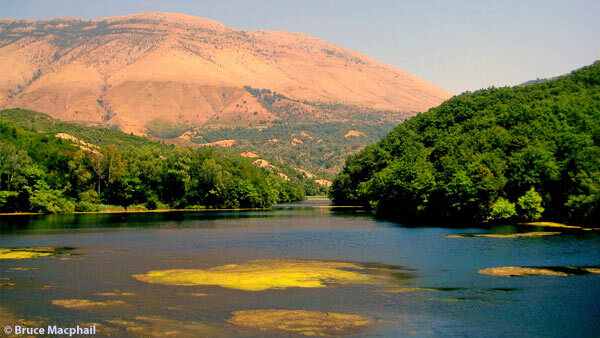 The Adriatic coast starts in the delta of Buna river by the city of Shkodra. Once upon a time, this was a Dalmatian coast with deep waters and a number of islands. Now it has shallow waters as a result of the delta of the country's largest rivers. A number of fields exist to the south of Buna. The formation of snaking underwater beds has created a number of bays and lagoons. The delta continues to grow every year by several meters. This land expansion is larger in the south in Myzeqe and slower in the north near Lezha. 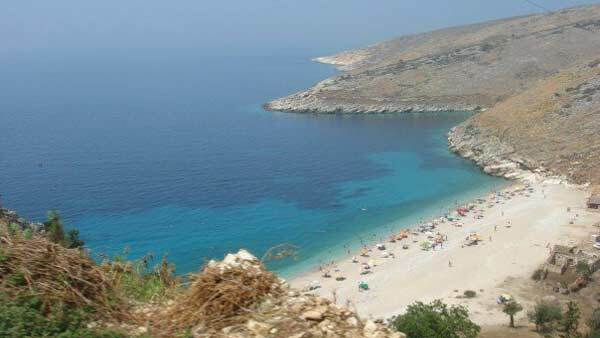 This evolution has increased the tourist value of the area with beaches such as: Velipoja, Shengjini, Kune, Gjiri Lalzit, Durresi, Golemi, Mali Robit, Spille, Divjaka, Darezeza and Plazhi i Ri Vlorë. It starts in Uji i Ftohtë (Cold Water) in Vlora and continues with few interruptions all the way to the Cape of Stillo. It has a high abrasive intensity because the sea is deep while river deltas are lacking. As a result, waves on the Ionian can reach up to 4 m while the coastline is rocky. On the coast you will find a number of small bays and comfortable beaches. 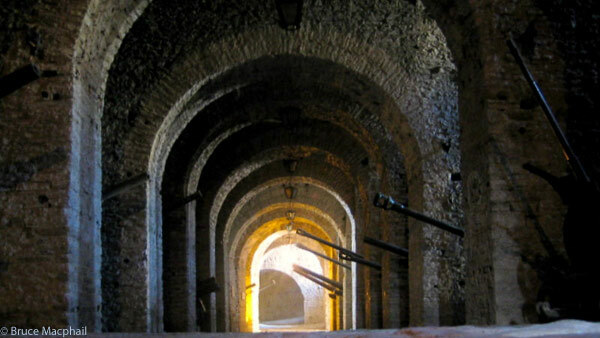 Some of them are rarely visited due to the difficult access roads which may make your experience all the more intimate. Some large tectonic bays are: Vlora Bay, Porto Palermo, Saranda Bay etc. Here you can dive, sail, fish etc. The journey to this mountainous area begins from the city of Shkodra and leads to the closest stop 41 km away from Shkodra the city of Razma, situated on a blackberry hill at the feet of the Veleçik Mountain. Razma stands amid infinite forests of pines and birch trees. There are also many meadows and amazing alpine pastures. The journey to Razma is possible even in the winter when the snow is at its highest level. There are several hotels already and others are on their way to completion. The most common activities are excursions, mountain climbing, skiing, and. during the summer, camping. Last fall, at the World Travel Market in London, I found myself wandering through the European stands and played a little game with myself. I decided to visit the stand of the country I felt least likely to visit next year and see if they could change my mind. Albania was top of the list, as I had a picture of a country still recovering from its communist years, with a bleak capital of Tirana blighted by concrete architecture. I knew from my sister who lives in neighboring Greece that there were many Albanian economic migrants who had moved to Greece in search of a better standard of living, ending up in low paid jobs. Putting these preconceptions aside, I had a chat with the Albania representative and came away with a fistful of brochures, maps, DVDs and cookery books. He told me that the country was investing heavily in infrastructure and tourism; last year the focus had been on the south of the country, this year it was on the north. All the material was branded with the slogan - Albania, a New Mediterranean love. The country clearly has ambitions to become a mainstream holiday destination like Spain or Italy. So why should you go to Albania? Here are the highlights. Albania has 450 kilometres of coastline, with calm and sheltered waters for swimming. On the northern Adriatic coast centred around the large port of Durres, the beaches are sandy and shallow, making them ideal for families although they are crowded in high season. The unspoilt southern Ionian coastline, south of Vlora is more rocky, with the mountains coming down to the sea, and water sports and diving on offer. Further south, ferries from the Greek island of Corfu run to the seaside town of Saranda, giving access to the most southern stretch of coastline. Through the centuries, Albania has been a melting pot of many cultures, with the Illyrians, Greeks, Romans and Venetians all leaving traces of their past behind. 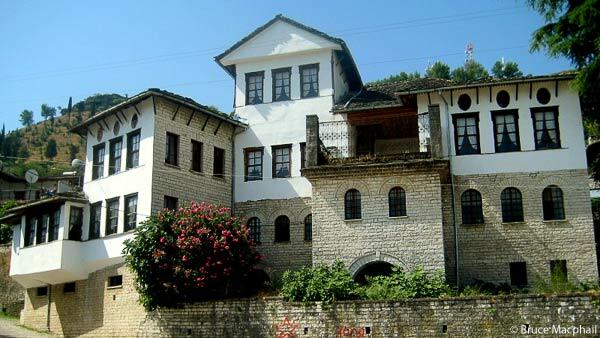 To mention a few of the sites worth visiting; Berat is a picturesque UNESCO world heritage site, where the old white ottoman houses cling to the side of the hill, earning it the name Town of a thousand windows; The museum town of Gjirokstra, known as the City of Stone has the largest castle in the country where the National Folk Festival (held only every 4-5 years) will be taking place in 2009; At Kruja, a medieval town with a mountainside location, the old bazaar leads you up to the castle of national hero Skanderbeg, who in the fifteenth century led the struggle against the Ottoman empire. Lovers of nature and outdoor adventure sports should find plenty to keep them busy in Albania. The northern town of Thethi, set in the Albanian Alps, is a centre for outdoor activities such as trekking, mountain biking and winter skiing, but if white water rafting is your thing you can try the Osumi River Gorge further south. If you like birds and wildlife, head for the wetlands of the Velipoje National Park on the northern coast. Llogera near the southern coast is a centre in the Balkans for air sports such as paragliding and on the eastern border with Macedonia you can relax beside the crystal waters of Lake Ohrid, the deepest lake in the Balkans. 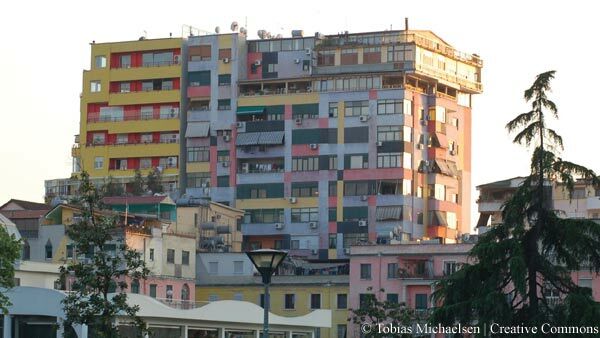 One of the first thing artist and mayor Edi Rama did, when he was elected, was invite the citizens of Tirana to get out the paint pots and brighten up the drab communist architecture. Now you can see apartment buildings in rainbow shades all over the city. Sheshi Skënderbej is the heart of the city, with a statue of Albanian hero, Skanderbeg. If bars and restaurants are your scene, the centre for nightlife is the neighbourhood of Blloku, once the exclusive preserve of dictator Enver Hoxha and his communist officials, now opened up for everyone to join the party. So, is Albania likely to be the next big Mediterranean destination? I’ll let you decide, but I’m pretty sure that Easyjet or Ryanair should be planning to start a route there. In the meantime British Airways flies from London Gatwick to Tirana.